The ideal accessory with which to carry your Ducati passion with you. The New City key ring is created in eco leather mixed with polyester. 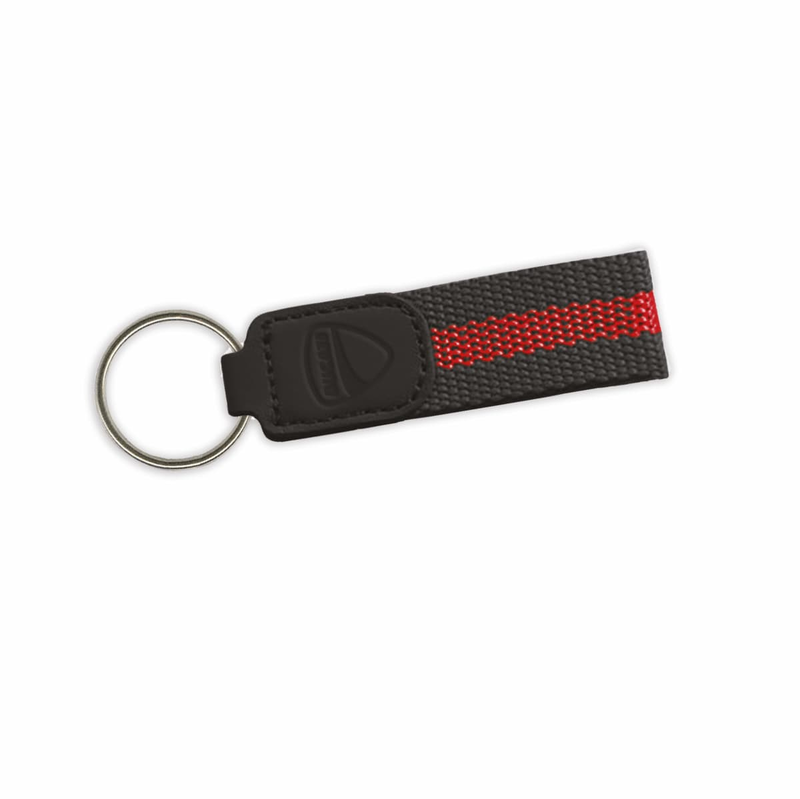 Simple and practical, and available in red and black, this key ring is customised with a heat-printed Ducati shield and flat ring with Ducati lettering on the sides.